JENNIFER E. SMITH is the author of This Is What Happy Looks Like, The Statistical Probability of Love at First Sight, The Storm Makers, You Are Here, and The Comeback Season. In The Geography of You and Me, Lucy lives on the twenty-fourth floor. Owen lives in the basement. It's fitting, then, that they meet in the middle -- stuck between two floors of a New York City apartment building, on an elevator rendered useless by a citywide blackout. After they're rescued, Lucy and Owen spend the night wandering the darkened streets and marveling at the rare appearance of stars above Manhattan. But once the power is back, so is reality. JEN CALONITA would never have fought her parents on going to sleepaway camp. When she isn't writing, the author of the Secrets of My Hollywood Life and the Belles series can be found at the beach or floating in the pool. In Summer State of Mind, Summer has finally arrived and fifteen-year-old Harper McCallister intends to spend her days at the mall shopping or by the pool at her country club. But after receiving her latest heart-stopping credit card bill, Harper's parents makes other plans, and ship her off to camp. ALECIA WHITAKER grew up on a small farm in Cynthiana, Kentucky. She is the author of The Queen of Kentucky, as well as an actress, and currently lives in New York City with her husband. In Wildflower, Bird Barrett has grown up on the road, singing backup in her family's bluegrass band and playing everywhere from Nashville, Tennessee, to Nowhere, Oklahoma. But one fateful night, when Bird fills in for her dad by singing lead, a scout in the audience offers her a spotlight all her own. KAMI GARCIA is coauthor with Margaret Stohl of the #1 New York Times bestselling Beautiful Creatures series. The first book in the series, Beautiful Creatures, is now a major motion picture. In addition to writing together, they have written solo novels: Unbreakable, an instant New York Times bestseller and the first book in Kami's series, The Legion; and Icons, the first book in Margaret's Icons series, which is currently in development as a feature film. In BEAUTIFUL CREATURES Ridley Duchannes is nobody's heroine. She's a Dark Caster, a Siren. She can make you do things. Anything. You can't trust her, or yourself when she's around. And she'll be the first to tell you to stay away-especially if you're going to do something as stupid as fall in love with her. 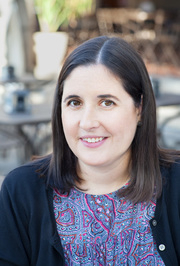 MEGAN McCAFFERTY is the New York Times bestselling author of the Jessica Darling series, Bumped, and Thumped. Her work has received honors from the American Library Association and the New York Public Library. She lives in Princeton, New Jersey, with her husband and son. JESSICA DARLING'S IT LIST will have you laughing, cringing, and cheering for Jessica Darling as she learns that being herself beats being popular, pretty & perfect any day. It's the first day of seventh grade. Is Jessica Darling doomed for dorkdom? The Hudson Valley YA Society is a monthly author event series at Oblong Books & Music in Rhinebeck, NY. The HVYAS brings the best and brightest YA authors to the Hudson Valley in a memorable and fun party-like "literary salon" atmosphere, with refreshments, conversation, and giveaways for attendees. Jennifer E. Smith is currently considered a "single author." If one or more works are by a distinct, homonymous authors, go ahead and split the author. Jennifer E. Smith is composed of 1 name.